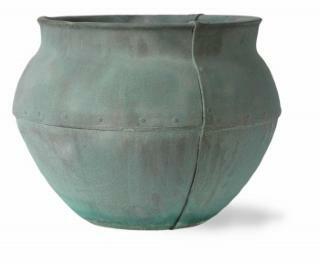 The stunning large Bell Jar planter is a versatile and stylish choice of plant pot. Available in our authentic Copper Blue finish, the detailing of the panels and rivets give the appearance of old weather-beaten copper. Few would believe they are made of fibreglass! They can be planted up with large structural trees, or grouped together to create a sculptural focal point on a patio.